A guide to how everyone can enjoy the Bournemouth Air Festival. Includes locations of accessible parking, toilets and wheelchair access to the seafront. Disabled parking is available but limited so you are advised to consider your transport arrangements carefully in advance. 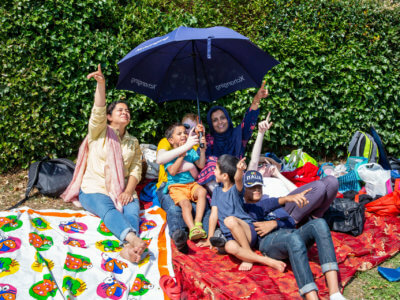 There are two accessible car parks – one at the Winter Gardens in Bournemouth Town Centre (BH2 5DJ) and one at Sea Road on Boscombe Overstrand – with 250 spaces available. Accessible viewing at Monkey Island (at the Boscombe end of the East Overcliff) – with 80 blue badge parking spaces. 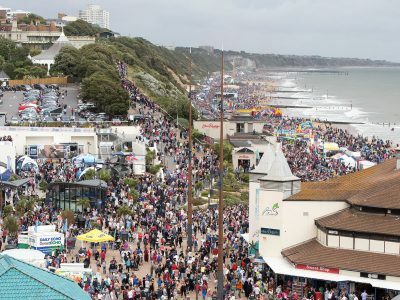 For easy access to the promenade, you can arrange to be dropped off at the bottom of Sea Road by Boscombe Pier (BH5) – you will need to show your blue badge to stewards. In addition, entering the site from Boscombe, there is an accessible viewing area on the promenade outside the Surf Steps School (BH5 1BN). Further reading: Disabled parking in Bournemouth (Bournemouth Council website). Here’s all you need to know about Getting Here!